I finally participated in a school dress up day. 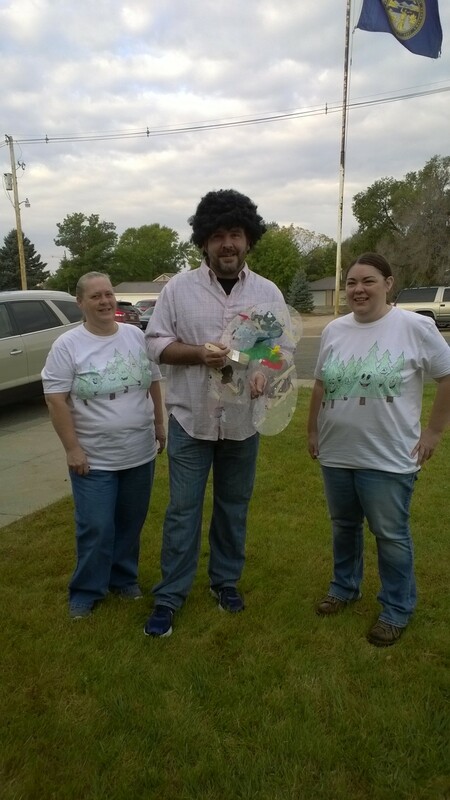 Teacher AJ had the idea of being happy trees, and we were. Other teachers were wearing paper trees, but our art teacher, KH, is amazing and drew our trees. 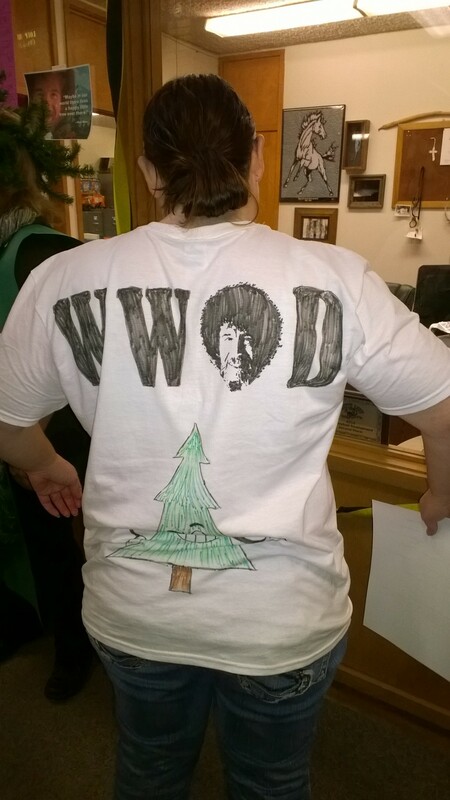 What would Bob Ross do?